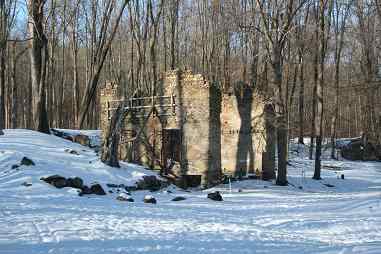 Long Pond Ironworks tells a fascinating tale of ironmasters who built and developed the iron industry in the Highlands. Their contributions to history in times of peace and times of war reach far beyond the local economy. These nearly forgotten chapters of history need to be retold and remembered. 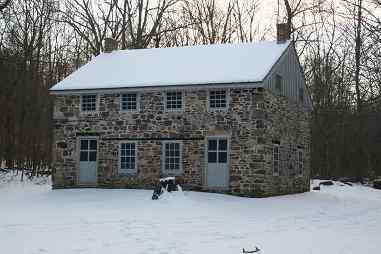 Within the 175-acre Long Pond Ironworks Historic District lie the ruins of three iron blast furnaces, including the original Colonial-era furnace constructed in 1766, and two larger furnaces built for Civil War production; evidence of iron forges; remains of waterpower systems; and a variety of workers' homes and commercial buildings that were critical parts of the ironworking village. Long Pond also illustrates the evolution of ironmaking technology, as shown in the remains of the three successive furnaces, the ore roaster and the hydro power systems. The continual search for more efficient operations and materials is a story of industrial ingenuity at its best.